Firebaskets are the original traditional fires. Designed to sit inside a fireplace, the principal behind firebaskets hasn’t changed for hundreds of years. Designed to burn wood and coal, firebaskets were for a long time the primary heat source for many rooms. 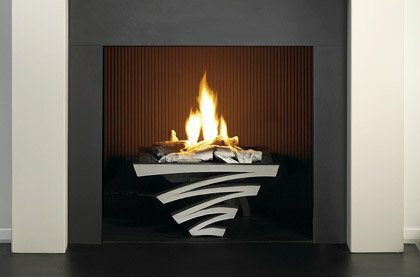 Fast forward to today and they are used more for decoration rather than warmth as they are not as efficient as stoves. We have a wide selection of firebaskets available in solid fuel, gas or electric, perfect if you are recreating a traditional fireplace. Firebaskets are ornate and decorative pieces, looking just as charming when they are not in use as when they are housing a blazing fire. Firebaskets are the definition of versatility, offering you the flexibility to have a gas, electric or even solid fuel fire. While some new designs are filtering through, essentially the principle design has remain unchanged for hundreds of years, but hey, if it's not broken don't fix it! Firebaskets are designed to sit inside a fireplace, and come in a wide array of designs, features and optional extras, plus almost limitless installation options depending on your taste and existing chimney situation. 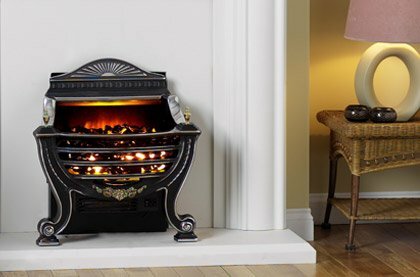 If you're planning to burn solid fuels, such as wood or coal in a firebasket then we advise you to purchase a black firebasket a polished, highlighted or chrome baskets can discolour due to the heat produced from these fuels. Our selection of firebaskets are designed for use with solid fuel, but our also available with gas or electric kits giving you a real flame effect with the convenience of gas or electricity. 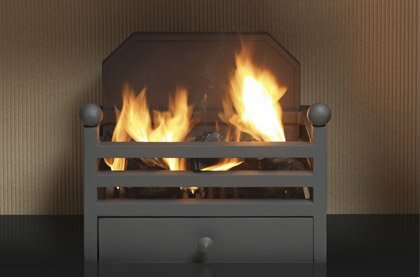 We also have a selection of open fire kits which are designed to fit into an existing 16" or 18" British fireplace opening with the fireback in place. Open fire kits are available in solid fuel, gas and electric; we have put together one of the largest collections of firebaskets online to date. If you're having trouble finding your ideal firebasket, try using our comprehensive Fire Finder tool, simply input your requirements and let the tool do all the hard work. Happy browsing!